How well do you know the world of teeth? 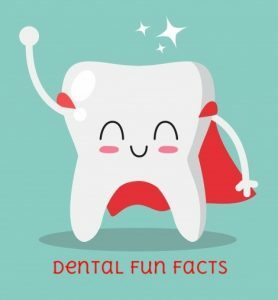 Take a look at these fun dental trivia and facts – there may be some that surprise you! Visit Burns Family Dentistry for more information about our services (from dental cleanings to same day crowns to dentures – just to name a few- call us if you have any questions or wish to schedule an appointment) or to see what our patients are saying about us 🙂 Hope you enjoy the fascinating world of dentistry as much as we do!